This is characterized by recurrent episodes of acute pain followed by a return to a period of low level pain, or even pain free periods. Within hours of the first episode of back pain, the deep muscles that support the spine ( the core muscles ) stop working properly. This leaves the back weak and vulnerable. In order to try and protect the spine, the brain uses other muscles to fulfill this role. 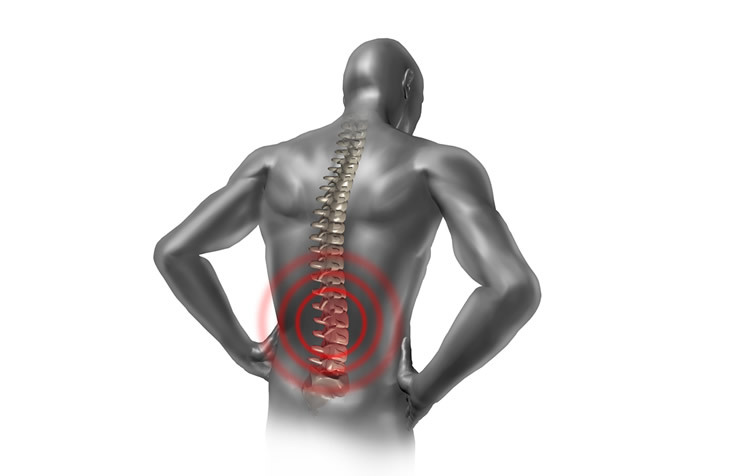 Over a period of time the back becomes increasingly stiff and weak, making it more likely to be injured. Treatment involves finding the initial cause of the problems to ensure that future outside influences will not cause a recurrence. Joint dysfunctions are identified and dealt with by a mixture of home exercises , soft tissue massage, muscles energy techniques and manipulation. Once the body’s scaffolding is in place, the task of retraining the correct muscles in the correct order starts. The core is retrained giving a base from which all other exercises take place. The increase in strength of the core muscles leads to an increase in stability and a decrease in pain. With the appropriate training program normal function slowly returns and the pain cycle is broken.